Origami is the ancient art of folding paper into shapes. While many people use colored origami sheets in this craft, almost any piece of paper can be turned into an object -- even a dollar bill. 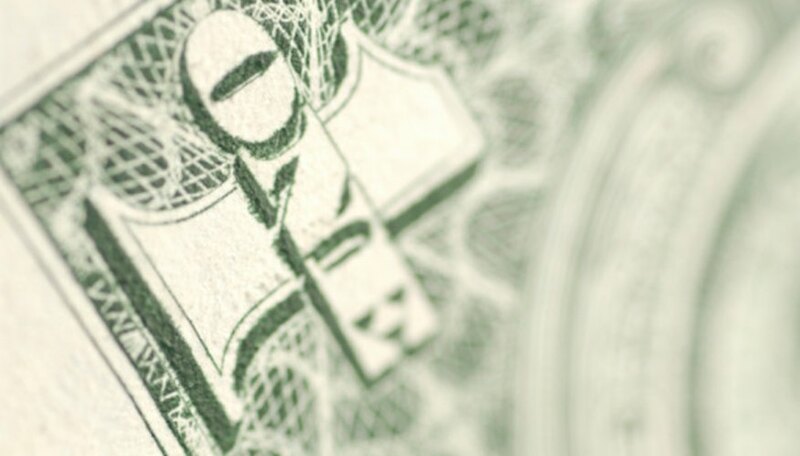 Find a crisp dollar bill to create a Star of David symbol. You won't need any scissors or tape, just a flat surface and some attention to detail. When you're finished, display your Star of David dollar bill origami or give it to someone as a gift. Place the dollar bill facing up on a flat surface. Fold the dollar bill in half lengthwise. Unfold it to create a crease. Move the top left corner toward the crease in the middle. Line up the point with the crease and fold along the edge. Ensure this crease folds through the bottom left corner. Take the bottom left corner upward to meet the top edge of the dollar bill. Fold it in place. Move the top left corner downward to connect its point with the bottom right corner. Fold the edge. Hold the bill in your hand with the pointy tip facing down. Gently squeeze the sides to open a pocket in the center of the folded bill. Fold loose flaps from the top of the bill into this pocket. Place the bill back on the table. The dollar bill should now be folded into a triangle. Mark the center of the triangle by folding the bill in half in three directions. Connect the bottom left corner with the bottom right corner, crease and unfold. Move the right corner up to meet the left side, crease and unfold. Do the same by moving the left corner toward the right side and crease. The point where all of these creases meet marks the center of the shape. Fold the top point down toward the marked center crease. Fold the left and right corners in toward the middle crease, too. Your bill should be now shaped like a hexagon. Flip over the bill. Fold the top side down toward the center crease. While you fold, the folded triangle flap from the other side will move to this side of the bill. This will create one of the Star of David points. Repeat this step by moving the left and right edges toward the crease, too. Tuck the corner of the last folded pleats under the first pleat to secure it in place. Flip the bill over to reveal your Star of David.